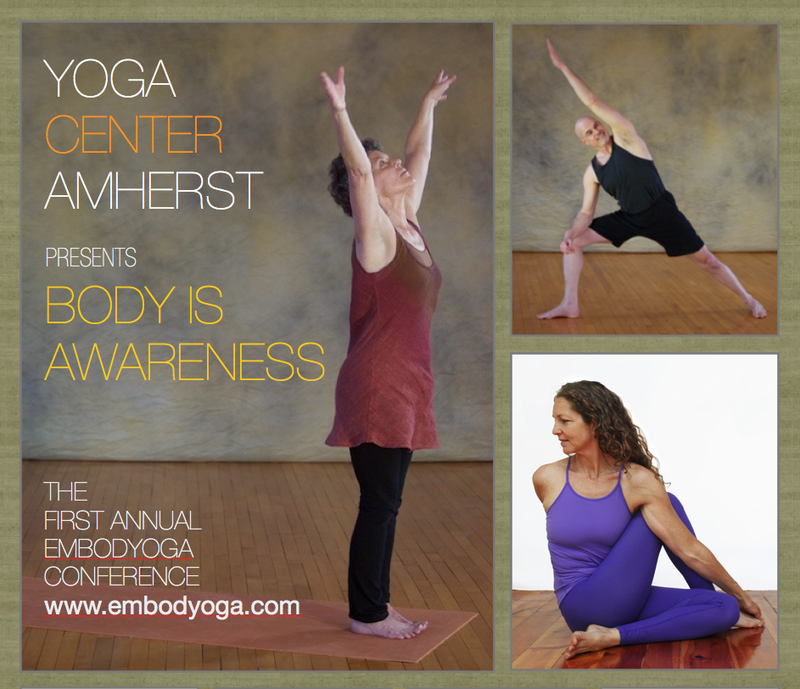 We are excited to announce the First Annual Embodyoga® Conference happening September 24th & 25th at Yoga Center Amherst in Amherst MA. 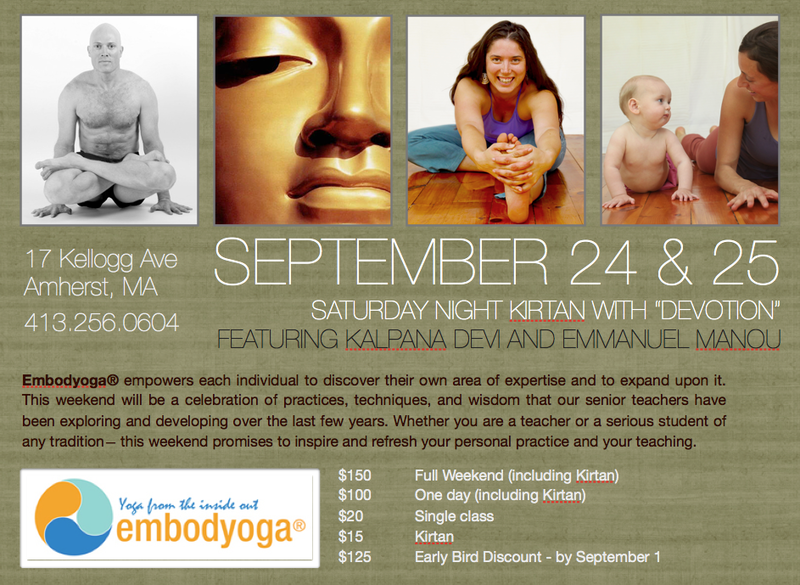 Spend two days immersed in exciting new explorations in Embodyoga®. Embodyoga® empowers each individual to discover their own area of expertise and to expand upon it. This weekend will be a celebration of practices, techniques, and wisdom that our senior teachers have been exploring and developing over the last few years. Whether you are a teacher or a serious student of any tradition — our time together promises to inspire and refresh your personal practice and your teaching. On Saturday evening, we will enjoy a very special Kirtan with “DEVOTION” featuring Kalpana Devi and Emmanuel Manou. Certified Embodyoga® teachers will be presenting on many different aspects and applications of the practice, including using Embodyoga® as part of therapy programs for veterans with Post Traumatic Stress disorders, advanced discussions of the anatomy of the nervous system and fascia and how it relates to yoga practice, and the relationship of the chakras and the endocrine system. I hope everybody will attend this Conference! It is going to be so great. We are all excited and the material being presented is NEW and really useful for your practice and your teaching. Let me know if you have any questions at all. You can also contact the individual teachers.